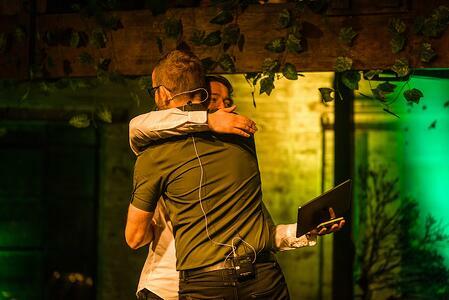 Want to see the magic behind a successful recognition program? 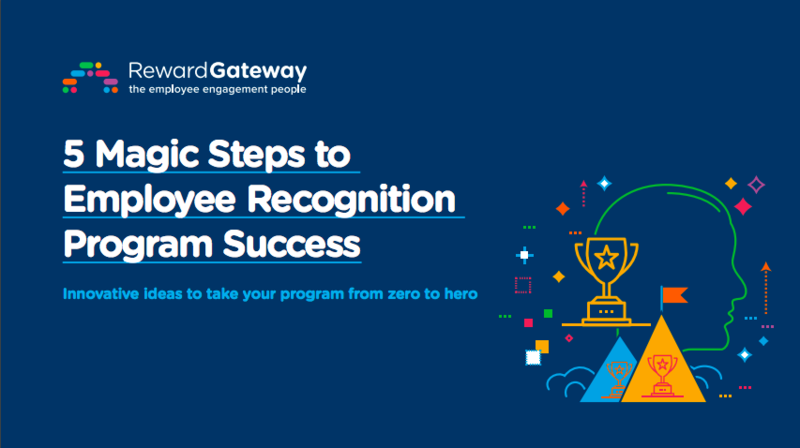 We've brewed the 5 magic steps to help make your employee recognition program a success. Learn how to define your employee recognition strategy, make key recognition design decisions and increase engagement. Whether employee reward and recognition is a new concept for your business, or you’ve had a program running for years, you’ll mostly likely ask yourself whether rewarding employees with financial rewards really has a positive impact on employee engagement, and whether that investment is worth it for your business. People wrongly think they need to choose one over the other, but the truth is your employees need both non-financial recognition and financial reward. When recognition for a job well done is given generously and freely between leaders and peers, your business has the potential to build a strong culture of gratitude and community. The addition of reward builds on top of that foundation with a strong rewards and recognition program, and supports employees to understand the difference between good and great. Imagine if you told your top performers 30 times a year how great they were, how valuable their contribution was, and what a huge difference to the bottom line their behaviour made but failed to ever reward them for their discretionary effort? There's a lot to consider between monetary vs. non-monetary employee rewards. What message does it give your employees if they aren’t able to participate and share in the fiscal success of your business? For businesses that have no or limited budget, the best thing about peer-to-peer employee recognition is that it’s free! Anyone can recognise a team member for a job well done, at no cost to the business. It builds a spirit of generosity of gratitude and helps reinforce your company purpose, mission and values. Take for example, Suncorp, whose employees send 76,000 eCards a year! By making it easy for their employees to say thank you, recognition is now an critical part of the employee experience. Giving your people the tools and space to say thank you more frequently is the first step towards creating a culture where recognition that is free flowing and allows the genuine spirit of collaboration and gratitude to be felt by all. Recognition allows you to provide a personal, meaningful touchpoint, so that an individual can see what their unique contribution has to the business. One of the most memorable moments of recognition I’ve received came from our former VP of Sales, who at the time was based all the way over in Boston. She sent a postcard to my home address, thanking me for my efforts over the quarter and more importantly my contribution to the team. I’ve never forgotten this simple but thoughtful gesture, and it made me feel like my work was truly valued. I always talk about how these moments of recognition are stories that organisations can collect and use to connect people to the purpose and values of the organisation. If you’re struggling to communicate these things in your business (as I’m sure many people are), one of the fastest and best ways to get purpose, mission and values to stick and to drive engagement while you’re doing it is to get the people in your business to tell those success stories for you. A simple example is from James, one of our Customer Success Managers in the UK. When was tasked to enhance awareness and build engagement for one of our clients in the gaming industry, he went all out and set up a casino for their employees. From 7 p.m. to 1 a.m. he and his project team provided games, treats and fun, all in the spirit of the employees getting to know their benefits and rewards program better. I’ve never felt more valued by my company which was just the best feeling ever. The actual roadshow was quite difficult as it was a 17 hour working day in total, but it was made completely worth it knowing that I had the recognition and support of everyone at RG. I have only worked at RG for 6 months and technically I’m still in my probation, but I felt like I had been recognised as a really valued member of the team on an international basis which was just the coolest feeling ever. Encouraging people to acknowledge and record daily stories of progress, success and values being demonstrated builds awareness and connectedness. 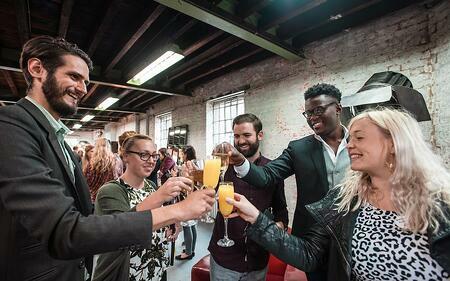 Recognition does have a long-term impact on employee engagement and it’s completely free, so it makes sense for many businesses to start here. So, when is a monetary reward a good idea? As its name implies, monetary recognition means that employees are given a financial reward when they perform exceptionally well at work. Traditionally, rewards with a monetary value have been used to say thank you or as a gesture of good will. 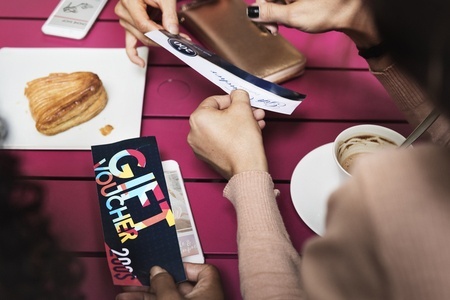 Monetary employee recognition could be a cash award, gift cards to an employees’ favourite retailers or even discretionary company shares. 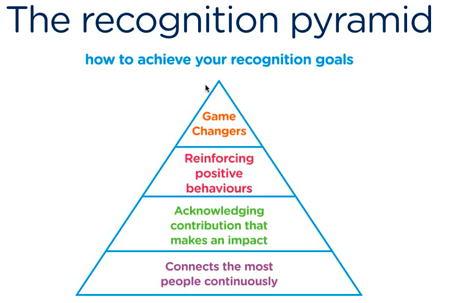 Traditionally, rewards with a monetary value have been used to let an employee know that their contribution has made an impact on the purpose/mission of the business? It is important however to really think through what the right amount of monetary reward is appropriate for the individuals in your workforce so as to ensure they don't have the opposite effect and become a de-motivator. Cash is useful, but on its own has little emotional connection. It can be cold/impersonal and says little to the receiver about the specific contribution they made. When rewarding with cash it's important to think about how to "humanise" the moment to connect the heart and optimise impact . For example, one of my previous managers asked during my job interview what was on my bucket list, and my answer at the time was that I really wanted to go skydiving. When I joined his team, every time he recognised me he also mentioned the skydive and how that small reward meant I was one step closer. After a good six months of working hard and being recognised a few times, I used my rewards to jump out of a plane and tick that experience that I wanted so badly off my bucket list! That manager knew how to humanise the reward I was getting and link my hard work to something I wanted to achieve - so much so that I still tell that story today - five and a half years on! It’s easy to get turned off by the idea of giving employees financial reward; many people think it’ll become too expensive, especially if they know that the reward amount needs to match the effort of the employee, lest it end end up insulting. I’m sure there are more than just a few employees who’ve been left disgruntled and demotivated after receiving a $50 voucher after 15 years of service. So instead of thinking about cost, think instead of how to use what reward budget you have to build velocity and increase the impact of social and peer-to-peer recognition that is free. Start by laying a strong foundation by encouraging people to recognise the good in the business on a daily basis, and use reward to focus in on the great. If you’ve read this because you’re at the beginning of your employee reward and recognition journey or you know your program needs a refresh, you need to start by identifying what it is you’re trying to achieve with your R&R program. 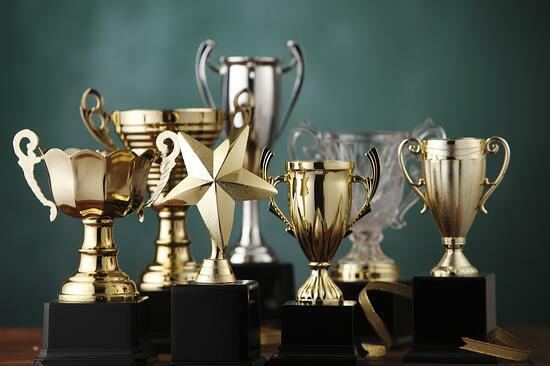 Being intentional and strategic with recognition and reward, and how wins are celebrated in your business can move the engagement needle quickly. Empowering and enabling your employees to choose between when and how often to recognise or reward their colleagues cultivates trust in your business and also allows you to cater for the different needs of your employees . Once you understand this and provide both types of reward and recognition in your program, you have so much potential to do great things! Now it’s just a matter of getting creative with your rewards. Employee recognition should be fun – it’s all about the moment and appreciating the person who has done an amazing job.